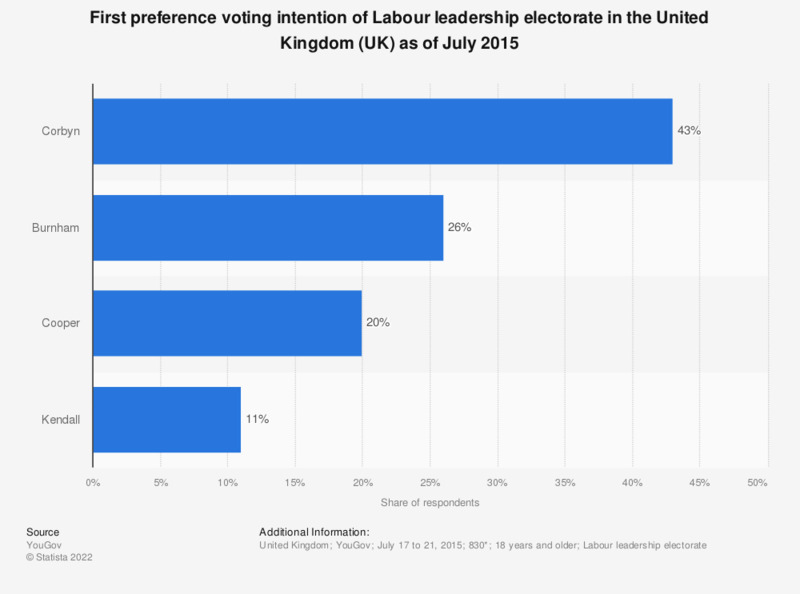 This statistic shows the results of a poll which asked 830* members of the Labour leadership electorate about their first preference voting intention for the leadership election, as of July 2015. Jeremy Corbyn topped the list of candidates and outpolled Andy Burnham, Yvette Cooper and Liz Kendall. * Excludes "don't know" and "wouldn't vote" responses from the original weighted sample of n=1,054.